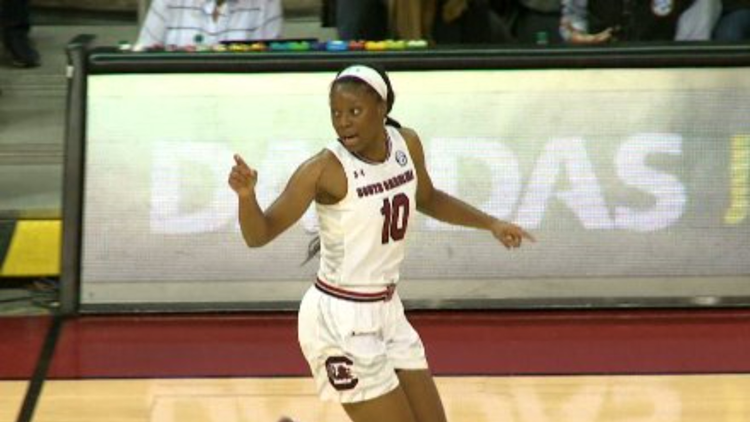 COLUMBIA, S.C. — Four players will transfer from the South Carolina women's basketball team and one of them has already found a new home. Bianca Jackson has transferred to Florida State. After a week in the transfer portal she's headed to the ACC. Bianca was an All-SEC freshman team pick after starting 25 games but her minutes and starts went down this year only making 5 starts and averaging 17 minutes per game. South Carolina defeated Florida State to advance to the Sweet 16 so Bianca got a good look at FSU to say the least. The Alabama native will sit out one year but will have two years of eligibility left. Kiki Herbert-Harrigan, LaDazhia Williams and Te'a Cooper are the other players who put their names in the transfer portal. No word yet on their destinations.